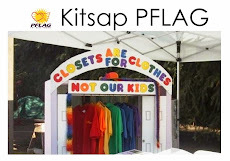 Reminder - the next Kitsap PFLAG meeting is tomorrow (Monday) at the Poulsbo Library at 6:30. Its back to school time! If folks have any school related concerns this would be a great meeting to have that discussion.